Can You Buy a Condo with an FHA Loan? Home » Mortgages » Do Condos Qualify for FHA Loans? 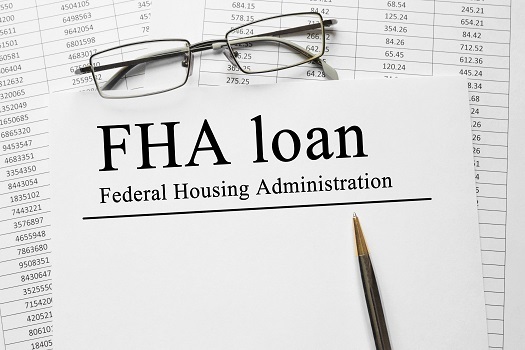 Loans made through the Federal Housing Administration (FHA) program were subject to political wrangling and news media scrutiny last year, particularly as they apply to attached properties such as condominium units, lofts, and homes that have been converted into multifamily dwellings. In 2018, the National Association of Realtors (NAR) lobbied Congress to put pressure on the Secretary of Housing and Urban Development regarding FHA lending on condos. The NAR’s goal was to make FHA condo loans less restrictive at a time when home affordability was becoming difficult. Only a few improvements have been seen in relation to the FHA condo lending process, and this has a lot to do with the questionable administration of HUD since 2017. With regard to condo units, the FHA approval list rule still stands, which means financing is only available for units in condo buildings that are on the FHA list. The criteria promulgated by HUD to include condo buildings on the FHA list are as follows. Let’s say the owner of a historic home in San Diego’s Gaslamp Quarter wishes to convert it into lofts. If the structure ranges between two and four lofts, unit owners would have to draft and execute a memorandum of understanding with the FHA for the purpose of stating each unit owner will take care of his or her own maintenance and repairs. Absent this document, which needs to be recorded at the county level, the FHA will not extend a condo certification. Mixed-use zoning is a trend that developers of condos in downtown San Diego have embraced in recent years. The prospect of living in a condo tower where a couple of floors, usually at the ground level, are filled with restaurants and shops can be very enticing, but FHA rules limit the amount of commercial space to 50 percent. It’s widely understood that FHA loans are for owner-occupied properties, but there’s an additional restriction that extends to other owners in a condo building. If 50 percent of units are owned by investors for rental purposes, no further FHA lending can take place in that building. This restriction can be a bit tricky because it depends on the will of the condo association to obtain certain coverage. The master policy must provide 100 percent coverage for the building structure, and this can be a challenge because of rising premiums in a market such as downtown San Diego, where condo appreciation has been very strong in recent years. For condo towers with more than 20 units, FHA rules call for a fidelity bond to cover board directors and employees hired by the association to handle administrative duties. This bond must be estimated by taking into account the assessments of all units plus the association’s cash reserves. FHA loans are a great option for many home buyers, but if you’re looking to buy a condo, make sure to do your research on the most current FHA regulations regarding condo loans. It’s also a shrewd move to work with realtors who have experience with the various financing options for downtown San Diego real estate. Trust the experts at 92101 Urban Living to help you find your dream downtown San Diego condo and work alongside you through the home-buying process. Call one of our friendly agents today at 619-649-0368.